If there’s one thing that Introverts hate, it’s noise. And lots of it. I can safely say that to you because I am a major Introvert, and a Highly Sensitive Person to boot. One of the biggest complaints I hear from introverted business owners is around social media. How do you manage the constant barrage of information, communication, and confusion on fast moving social media channels? How can you possibly keep up with what truly matters and not get overwhelmed the second you log in? I’ll let you in on a little secret: Twitter is one of my absolute favorite social media platforms. I’ve built relationships, had meaningful conversations, connected with mentors, reached out for answers, and even gained clients directly from Twitter. So HOW (you might ask) do I manage to keep up with the pace when I’m notoriously methodical, introverted, and strategic? Twitter Lists are my not-so-secret weapon of choice when it comes to communication. See, I used to hate Twitter. Just the thought of logging in felt like such an overwhelming event. Scrolling thru the feed that was constantly updating by the second felt pointless. Even posting anything made me feel like I was whispering under water at the world’s biggest swimming pool – no one was going to hear me. And then I started my lists. I have several now and they are where I go when I log into Twitter. In fact, I often wish that Twitter would create a Lists focused homepage or a Lists app like Facebook’s Groups App (are you listening, Twitter? ‘Cause we need to make that happen, k?). 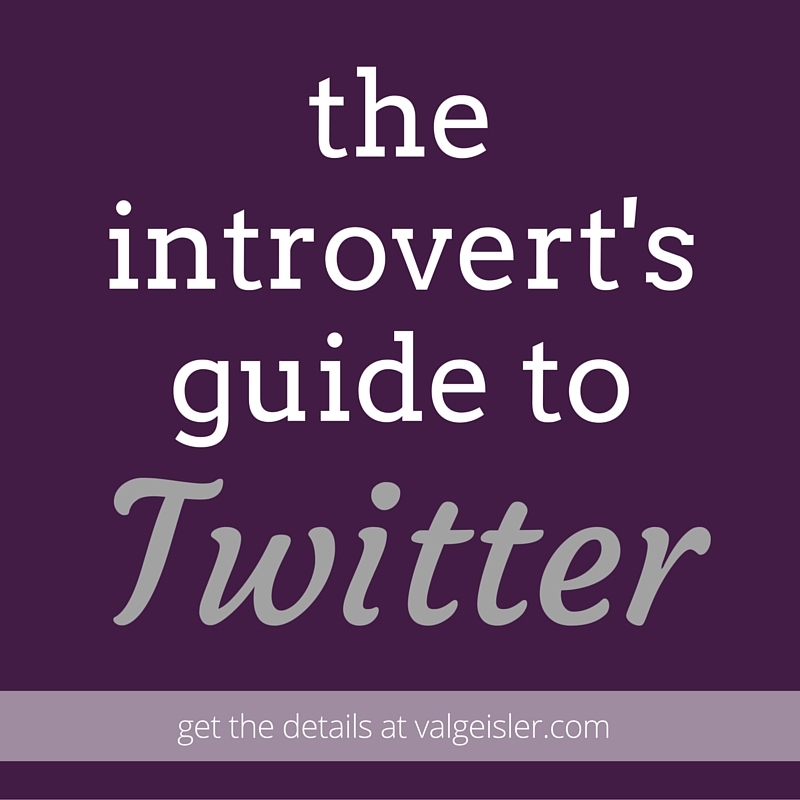 Get the ultimate guide to Twitter for #introverts! Some lists are public, some are private and they all do different things for me and my business. I have lists for local businesses I love, potential partners, lists for specialists like marketing, branding, or copywriting. I even have a list of people in my own industry and also people I admire. Note: most people are on several lists since they fall into multiple categories there. Twitter Lists help me compartmentalize and that keeps me out of overwhelm. My introverted nature means I am easily thrown from “Hey, let’s go check out what’s going down on Twitter!” to “Oh, snap. There’s so much happening that I’m now paralyzed by the activity and must nap for an hour.” Naps are great, but productivity and focus are the bomb too. The big trick with lists (as is true for any system you create) is the upkeep. As you follow new people on Twitter, you have to be diligent about putting them into lists. By reminding myself that this step keeps me from just adding to my own internal noise machine, I keep up with my organization and the system runs smoothly. And what about my own feed of information? I love having several posts a day scheduled out in a my Buffer account. This allows me to pop in and be conversational but also keep my feed current and keep me front and center with my own followers. Add a weekly calendar reminder to spend 20 minutes (max) making sure your recent follows are on the right lists. Introverts: it’s time to start falling in love with Twitter again. I see this as the beginning of a beautiful relationship.